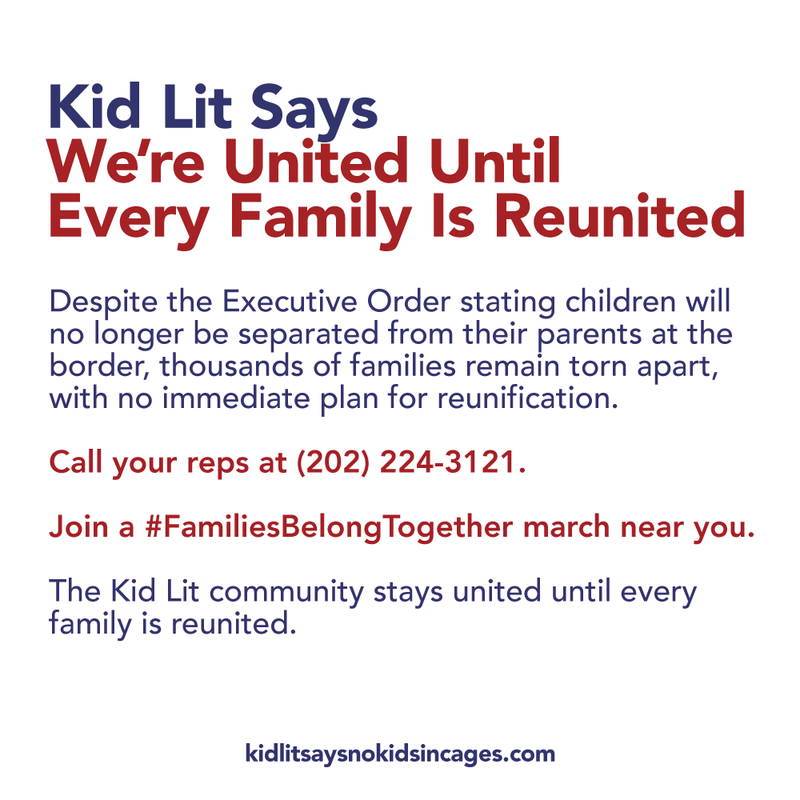 In just two weeks, the Kid Lit community, under the banner of Kid Lit Says No Kids in Cages, raised over $200,000, collected 5,000 signatures and was featured in The LA Times and Publishers Weekly, all in an effort to put an end to the unconscionable treatment of immigrant children and families at our nation’s border. Despite the recent Executive Order stating children will no longer be separated from their parents, thousands of families remain torn apart with no immediate plan for reunification. We will remain united until every family is reunited. Please join us in protesting this attack on immigrant families by donating to the following causes. You can allocate your donation to go equally between the groups below, or choose the distribution you'd prefer. You can also add your name to our statement using this link and see everyone who has already signed here. We hit our initial goal of 42,000 in under 24 hours. This site will stay live and we'll increase the goal as donations arrive. RAICES — offering free and low-cost legal services to immigrant children and families in Texas.